Like Kenyon, Mount Vernon has had its share of famous (and sometimes infamous) characters. 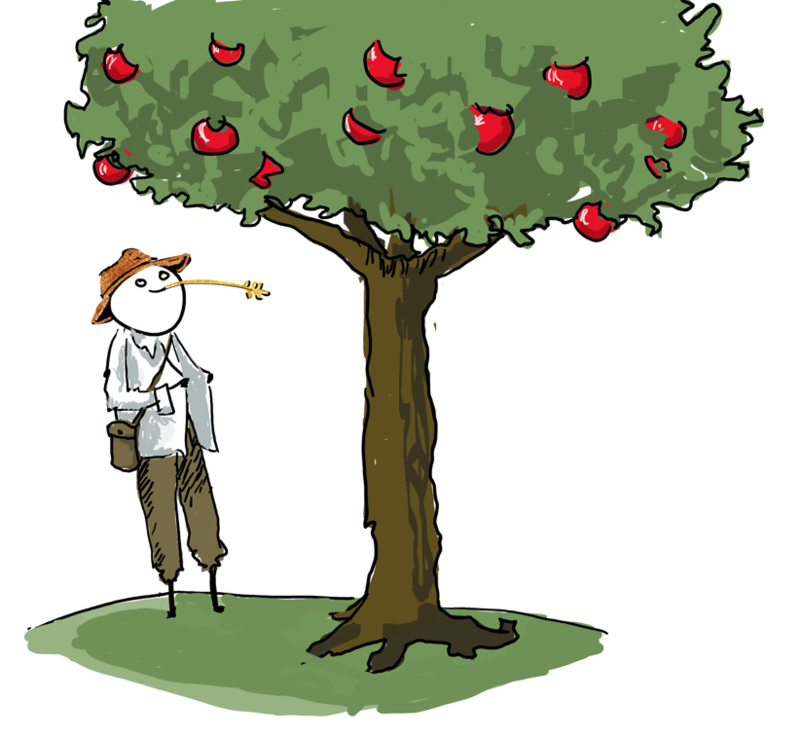 John Chapman, most famously known as Johnny Appleseed, is certainly among their ranks. In the early 19th century, the missionary, orchard planter and frontiersman of American folklore renown worked around Central Ohio, frequently making the fledgling town of Mount Vernon his base. Appleseed’s most concrete links to Mount Vernon were his landholdings and his vote in the town’s first election. He owned two lots in downtown Mount Vernon near the Kokosing. One is now a tire store; the other, right on the banks of the river, is now mostly underwater. Appleseed sold the lots to Jesse Burgess Thomas, an ex-Illinois senator who retired to Mount Vernon, in 1828. In the bill of sale, he describes himself as “by occupation a gatherer and planter of apple seeds.” Sadly, it seems his career path is no longer viable in the 21st century. From Mount Vernon, Appleseed moved on to Indiana, where he lived the rest of his life, but his nearly two decades in the town left their mark on its residents. Knox County’s history is full of tales describing Appleseed’s knack for long-distance excursions. The Knox County Historical Society holds that Appleseed would walk all the way to Pittsburgh from Mount Vernon whenever he needed to restock his seeds. He would make the first half of the trip on foot, then after acquiring bags of seeds from the cider presses in Pittsburgh, load them into several canoes and float them down a system of rivers back to Mount Vernon. This endurance certainly helped him during the War of 1812, when upon hearing the news of a skirmish between settlers and Native Americans in Mansfield, Ohio, Appleseed ran barefoot all the way to Mount Vernon — a distance of more than 30 miles — to warn the townspeople and rally reinforcements. Appleseed’s journey is still celebrated today. In 1999, at the completion of the historical marker on Appleseed’s old landholdings, several relay runners reenacted his run. They arrived in the town square to a festival of bands playing and school children singing, then briefly took shelter in blockhouses as the area’s settlers once did. So the next time you are tired of walking around Kenyon’s campus, it might be wise to remember our barefoot former neighbor, Mr. Johnny Appleseed.